This shows the upcoming passes of the International Space Station which should be visible over much of southern California for the next ten days. 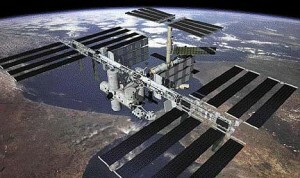 The International Space Station will be making another great visible overflight of Southern California tonight. Tonight will be a spectacular “fly-over” as it will be almost as bright as is possible (the brightness is determined by how the space station – and particularly their football-pitch sized solar panels – happen to be aligned with the sun). For those of you who may be new to viewing it the ISS will be visible as one of the brightest (mostly the brightest) star-like object in the sky as it passes approx 260 miles overhead at over 17000 mph. It will start low in the SW at 6:34pm where it will start getting higher (and brighter) as it crosses the sky towards the NE. At almost exactly 6:38pm it will be at it’s highest and almost directly above you. .
Be sure to wave to the SIX astronauts/cosmonauts who are calling the ISS home right now. More details on the pass here. RT @starstryder We need to stop saying @Philae2014 is landing & embrace the fact it’s stabbing 67P/CG w multiple harpoons & tying itself on. Comments Off on RT @starstryder We need to stop saying @Philae2014 is landing & embrace the fact it’s stabbing 67P/CG w multiple harpoons & tying itself on.